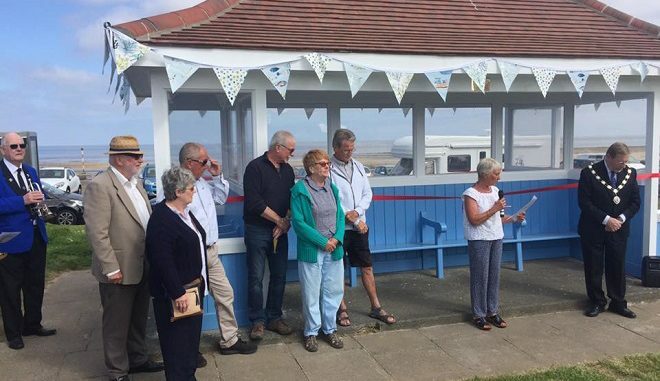 The first of nine sea shelters in Birchington has been fully restored and officially opened. 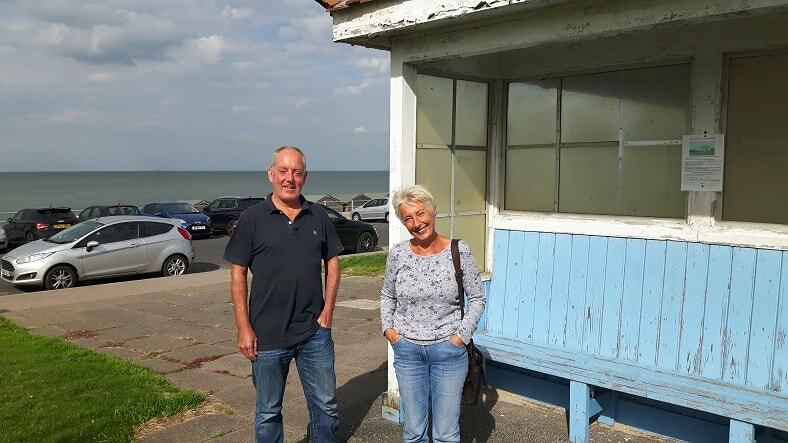 The Friends of Birchington Shelters group, run by Dave Adams and Karen Everest, launched a campaign last year to bring them back to their former glory. 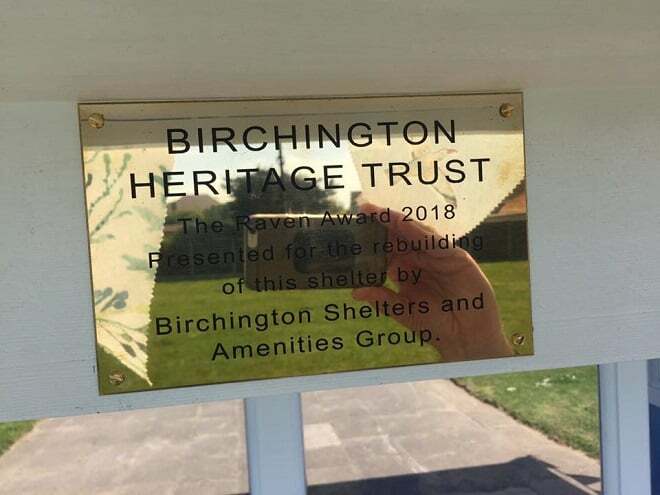 The shelter nearest Hengist Road is the first to be completed and was officially opened by Neville Hudson, Chairman of Birchington Parish Council, on May 19. The work was made possible by a £4,000 grant from KCC councillors Emma Dawson and the late Ken Gregory, Facebook friends, who voted successfully for the scheme to receive a £1,000 Aviva grant, a £1,000 donation from Shepherd Neame, more than £1,000 raised by The Waves and more funds from The Old Bay Ale House. Grenham Bay Court Residential Care Home organised a 6 a side football tournament last year and donated the proceeds of just over £700 to the project. As this was such a success, they are organising another tournament this year to be held on June 9. With help from Cllr Suzanne Brimm TDC donated just under £2,000, Margate Decor at Cliftonville supplied the paint at a discounted price, Birchington Residents Association donated £350 and more money has come from the shelter group’s quizzes. The next quiz is on July 14. Contact seashelters@hotmail.com for further information. 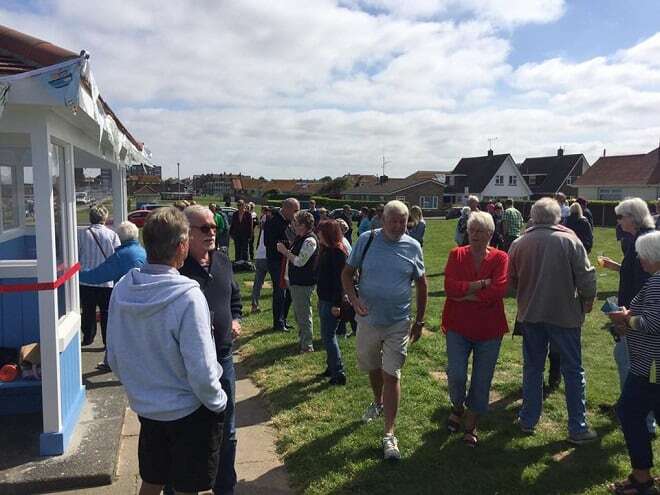 Residents also made private donations, supported the project through the Thanet Community Lotto or put loose change into collection boxes around the village at local businesses. The boxes have brought in some £800. All Access Scaffolding loaned the scaffold for the duration of the build, Turners Construction donated the labour of four skilled carpenters to rebuild the timber frame and roof timbers and Ecochoice supplied and installed the glazing at a very much reduced rate. Broadstairs Town Shed replicated the bench arms and Bunnings donated a nail gun. Dave Adams and Brian Everest were the project managers working with other members including Dave Wall, a professional carpenter and the rest of the committee who helped with demolition, tip runs, painting, weeding, tea and sandwiches. 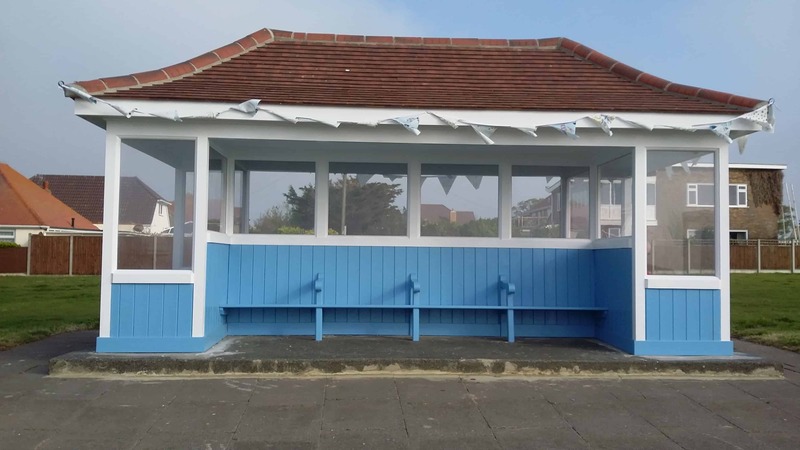 The costs will vary for each shelter with one at Epple Bay just needing a clean and repaint to get rid of graffiti while the play area shelter could need a complete rebuild costing up to £15,000. On Saturday Birchington Parish Council donated £1000 to start the funding for the next shelter. Matthew Munson: Are you up for a debate?